Cleansing Cream offers renewing, refreshing care to the skin. This gentle cleanser exfoliates and supports the skin’s natural protective function, preparing it for a toner and day or night care. For all skin conditions. Cleanse in the morning and evening. Moisten face and neck with warm water. Include décolleté if desired. Mix 1-2 cm (1/2 inch) of Cleansing Cream with water in the palms to form a smooth, creamy paste. Press gently into the skin with a rolling motion, starting in the centre of the forehead then slowly working outward and down. Use gentle movements. Do not rub–this is not a face scrub. Avoid the eye area. Dampen your hands again. Repeat several times. Rinse with plenty of warm water then finish with a splash of cool, fresh water. For sensitive skin use warm water only. I use this cleanser in the shower every morning. It is not drying or too harsh for my sensitive/combination skin. My pores are far less congested since using this. The only downside is the size for the price. Although you do not use a huge amount each time, a tube, using it every morning, has lasted about two months. An excellent product which I have been using for about 8 years. I´ve been using the cleansing cream for a while now and it is the only wash cream that helped me with my skin. The cleansing clean leaves my skin soft, feeling good. I still get breakouts now and then but they are caused by dairy products or my period. have found this product easy to use and it leaves my skin feeling clean and very smooth. I would recommend it. Whenever I have stopped using this cleansing cream my face loses its shine and healthy glow. It's a must have in my bathroom and I wouldn't use anything else. Great cream, gently exfoliating action and leaves skin feeling fresh with no residue. Use it all the time, and the tube goes a long way. Highly recommended. I've been using this product for years with no complaints, does not dry the skin yet cuts through the filth! I have very sensitive and dry skin and this cleansing cream helps me keep my skin clean and reduce spots while hydrating without making the skin oily. A very effective and gentle exfoliator which is so easy to use and never leaves the skin feeling tight or dry if you have sensitive skin like myself. I use it several times a week. This product surprised me because I have not tried anything like it before. Although it is exfoliating. it is also soft so it does not irritate the skin. My face feels much more silky after I use it and helps get rid of the dead skin. It came with a cleansing sponge which was also a surprise because it looked like a nice looking parchment at first, nothing like a sponge. It said to wet before use, so I did and the paper looking product raised into a sponge, like a cake rising in the oven. It felt very soft. Also, I thought it would be a single-use product but since it is made of natural fibres, I have been using it over and over again and it is as good as new (as long as you rinse it after use). Having started using this product 6 months ago I’m now in a routine of using this in the evening and Dr H. Soothing cleansing lotion in the morning. My skin is the best it’s been in years. I suffer with a mixture of acne and dry skin on my face and this is the first product I've used which doesn't dry out my skin or cause more acne. Highly recommend. ... it's now more than 10 years and I don't plan to get off it as long as quality remains supreme! A great cleansing cream - gentle but effective. Removes dead skin and makeup so gently, and your skin feels renewed and fresh after use. Never a blackhead in sight either! Creamy texture which left my skin feeling fresh and not tight and dry after cleansing. Great product and the grainy texture removed my foundation well without irritating my skin at all. I had suffered from adult acne along my jawline for years and had tried many different facial products. This cleanser is the best I have ever used, and my acne cleared up completely. 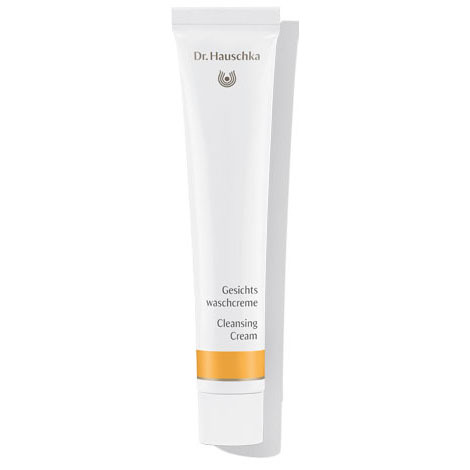 I now use many products within the Dr Hauschka range and my skin is better than ever. My facial skin feels absolutely clean to face the world. Cleansing cream has made a tremendous difference to my facial skin. It feels supple and cleansed and cleared little imperfections. I would recommend this product as it is very natural and does a good job! Would not be without it! It leaves my skin clean and It doesn't break its natural oils. It's just perfect. Really happy with this cleansing cream. Washes the face very well, without drying. Skin is smooth and soft. as it dries out quickly and is hard to squeeze out after a while. I like this cleansing cream, it feels very gentle, but feels like it is working at the same time. There is a little odour I'm not sure I can identify that isn't as pleasant as all the other Dr. Hauschka products, but it is not too bad so I don't mind it so much. I found the cleansing cream too harsh for my skin. I have been using Dr H products for about 5 months now and on the whole I am happy with the results in terms of balancing out my complexion and dealing with blemishes on my combination skin. However since using the products I have noticed that I have been getting dry patches around my chin. 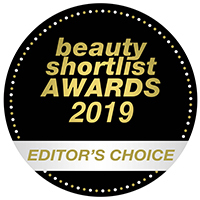 At first I thought this was due to the no oil at night time regime but I noticed the dry patches would develop during the day as well even after using the revitalising day cream and clarifying day oil in the morning. I also noticed that the palm of my hands would feel really dry after using the cleansing cream so I think the cleansing cream may be the problem. I read on a forum that a women with the same problem was told by a aesthetician to mix some soothing cleansing milk with the cleansing cream so I will give that a go and see if the dryness improves but if it doesn't I think I may have to stop using this product.